A report by the Judicial Commission of New South Wales has found more jail terms are being handed out for common offences in the state than anywhere else in the country. The figures show imprisonment rates in New South Wales for crimes including sexual assault and robbery are double those in Victoria and higher than those in the UK and Canada. Police Minister David Campbell says new bail laws target repeat offenders and allow officers to do their job. "We know that hard working police in New South Wales are gathering the evidence and laying the charges," he said. "When those charges are proven in court, the New South Wales justice system is then supporting the police by sending criminals to jail terms for the most common offences than in any other state." While the link between crime and incarceration seems logical, many studies have revealed that incarceration has a negative impact on crime rates. Research indicates that increasing the imprisonment rates may result in more crime, particularly amongst certain types of offenders. The social and personal damage which is involved with incarceration serves to explain this finding. The imprisonment of offenders effectively amounts to society relinquishing its responsibility to deal with the problems at hand. By excluding the problems in this way, society is limiting its ability to understand the origins of crime and thus perpetuating its continuation. In addition to this, it has been found that prisons often serve as colleges of crime for offenders, rather than rehabilitation centres. In this way, society's incarceration of offenders serves to fuel the very problem which they sought to solve. The effect of this has inevitably been seen through the recidivism rate which currently sits at 44%. The NSW Audit Office earlier this year  released a study of the Department of Corrective Services' capacity to rehabilitate prisoners. The success of the DCS has been proven to be quite limited with one in two offenders returning to prison or community supervision after release. The funds could therefore more successfully be used in supplying post release accommodation to help support ex- offenders. The negative effect of incarceration on offenders is evident through the personal damage which the process fosters. United States research has proven that the growth of incarceration has had profoundly disruptive effects that radiate into other spheres of society. The persistent removal of persons from the community to prison and their eventual return has a destabilising effect that has been demonstrated to fray family and community bonds, and contribute to an increase in recidivism and future criminality . Moreover, Russell Hogg at the University of New England recognises that "incarceration destroys or disrupts the links individuals have with conventional domains of life, like family, employment, secure housing and so on, links whose fragility or fracture is usually a factor leading to the involvement in crime and whose rehabilitation is crucial to the resumption of a law- abiding existence. " In this sense the necessity and desirability of developing an additional prison is questionable. The Bureau of Crime Statistics and Research data reveals that there has been a 10.11% decrease in crime rates between in NSW, and more particularly a 1.92% decrease in crime rates in the local government area of Shoalhaven between 1997 and 2005. Despite this reduction in crime rates however, the imprisonment rates has been on the incline. Professor Paul Wilson, Chair of Criminology at Bond University puts this trend down to one thing: "The more prisons you build the more you are forced to fill them". Professor Wilson's comment is particularly significant in light of the proposed prison development in Shoalhaven. The rationale behind the development is that the prison is to cater for local offenders. Current statistics show that the imprisonment rate is 160 prisoners per 100 000 persons in the population. Based on Shoalhaven's current population of 95 590, this local government area should only produce 152 prisoners. WE NEED TO BE CAREFUL ABOUT USING THIS FIGURE – IT WOULD BE USEFUL TO MAKE SURE THAT THERE IS NO CRIME ‘HOT SPOT’ IN THE REGION WHICH COULD MAKE A SIGNIFICANT DIFFERENCE IN IMPRISONMENT FIGURES. It is likely that prisoners will be relocated from other prisons around NSW such as Kempsey to fill the remaining beds. As has been demonstrated historically the building of a new prison is more likely than anything else to increase the prisoner population. There will be large numbers of family and friends visiting prisoners and many of these people will be disadvantaged and will need inexpensive accommodation, some will need support when they are visiting etc. Some will move temporarily to be near their family member and again will need social support and services. 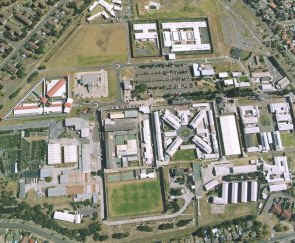 When people are released, because Nowra is a fair distance from Sydney and will be a fair distance from where many of those housed there will be returning, there will be the need for supported accommodation/transitional/emergency housing, there will also be the need for increased services such Centrelink, medical care both for prisoners and for visitors and releasees etc. None of this has been costed into the plan. The Shoalhaven is already stretched to its limits for health care and social services. The NSW government has claimed that the need to develop a correctional facility in the Kiama region stems from the current lack thereof and the benefit of providing a rehabilitation facility close to offenders' families. However, this rationale ignores any possible alternatives to incarceration and the benefits of such alternatives. Restorative Justice is a pragmatic response to the shortcomings of the law and order system. It recognises that prisons often actually work as colleges of crime that increase recidivism, that tougher punishment does not deter crime and that the cost of the prison system is a massive social burden, which is highly ineffective. The Restorative Justice approach, promotes the repair, reconciliation and rebuilding of relationships in the community as a result of crime, focusing on transforming the offender. The availability of some of these programs in rural areas is however more limited than in urban areas. In this way, the funding which has been dedicated to the development of the prison would be more beneficially used to develop and maintain the facilities for these programmes. Circle sentencing was first trialled in NSW in Indigenous communities in Nowra and has since been used in Lismore, Dubbo, Mount Druitt, Walgett, Bourke and Brewarinna. It sought to address the problem that Aboriginal people represent only 2% of the NSW population, yet they make up 20% of the state's prison population. It only concerns sentencing and not the determination of guilt. The process involves the offender sitting with Elders, Magistrate, Prosecutors, and support people to talk about the crime and how it has affected the community, victim and offender. Afterwards, the Elders discuss the sentence before making their recommendations to the magistrate who will hand down the sentence. The sentence has to be within the legislation, including imprisonment, counselling, home detention or community service. Unlike traditional sentencing, where the emphasis is on the punishment of the offender, community participation in decision- making ensures that the social dimensions relating to the offenders behaviour are being addressed. This in turn means that the chances of recidivism are being reduced. The involvement of the community in the sentencing means that the offender is not only being held accountable to the court, but to the whole community which establishes support for the offender throughout the sentence and beyond. The benefits of circle sentencing involve the reduction in recidivism rates in all jurisdictions in which it currently operates. The NSW Judicial Commission Review of Nowra found that of 24 offenders [with more that 150 offences] only 1 re-offended. Past offenders have addressed their alcoholism and found employment, in some cases full- time. Nowra’s Circle Sentencing program has won a $10,000 prize at the 2005 Australian Crime and Violence Prevention Awards. The basis of the success of circle sentencing has been attributed to the offender’s realisation that their own community doesn’t accept their offending, but are prepared to help them stop it. The procedure has both political and criminal justice benefits for the whole of society. The process is beginning to influence other aspects of the Aboriginal community life in the South Coast area. - help to break the cycle of recidivism. An important consideration regarding circle sentencing relates to judicial resources. In the Local Courts the majority of sentencing hearings are dealt with usually in less than half an hour. On the other hand, circle sentencing involves a hearing process with many active participants. As a result, the hearing can require a whole day of hearing before the sentence is laid down. However, if circle sentencing reduces future offending, there will be considerable benefits in terms of quality of life for the offender and for the community at large. Further a reduction in future offending entails considerable savings to the criminal justice system in terms of police, courts and corrections. Circle- sentencing may be seen as providing additional resources at one point in time in exchange for long-term benefits . The success of circle sentencing thus far in Nowra presents a powerful case for the expansion of the program into other suitable communities in the best interests of the administration of justice in NSW. The implementation of the resources to encourage the practice of Circle sentencing in Nowra and the Kiama region provides a useful redirection of the $130 million, which has been set aside for the development of the new prison. The maximum effect of Circle Sentencing can be achieved where there are adequate treatment facilities available in the community. Without alcohol and other drug rehabilitation opportunities, as well as options available for addressing issues of domestic violence, the potential benefits of Circle Sentencing are likely to be diminished. The $130 million fund could benefit the Shoalhaven community in numerous ways by addressing its many needs. To direct this money to the development of a new prison is destructive. This report is intended to give an overview of the issue and raise some ideas to be used as levers to establish a campaign. The government proposal to develop a new prison in the Shoalhaven is likely to breed more crime. It is important to take account of the negative effects prisons have on the offender, community, crime rates and the environment. Clear, T., Rose, D.R., Waring, E., and Scully, K. (2003) "Coercive Mobility and crime: A preliminary examination of concentrated Incarceration and social disorganisation", Justice Quarterly, Vol 20, (1), pp. 33-64. To be published in E. Barclay, J. Scott, R. Hogg and J. Donnemeyer (eds) Crime in rural communities forthcoming, Federation Press, 2007. Adult prisoner numbers increased by 1,400 (6%) over the past year  to June 2007, according to figures released by the Australian Bureau of Statistics (ABS). Based on current figures, a total of 27,200 prisoners are currently in our jails - an imprisonment rate of 169 prisoners per 100,000 adult population. Over half (57%) of all prisoners had served a sentence in an adult prison prior to the current episode. Nearly two-thirds of prisoners (62% or 7,000), sentenced in the 12 months prior to June 2007, had previously been in prison. The largest proportion of prisoners were sentenced for acts intended to cause injury (16%), followed by sexual assault (13%). Prisoners on average were sentenced to 4.8 years, however the average expected time to serve (the earliest date of release) was 3.4 years. For the offence of acts intended to cause injury, prisoners were sentenced to an average of 3 years, but served an average of 2.1 years for this offence. Nearly a quarter (22%) of all prisoners were on remand; an increase of 9% from June 2006. The average time spent on remand by prisoners was five months. Nearly a quarter (24%) of prisoners were Indigenous. Indigenous prisoners were 13 times more likely to be in prison than non-Indigenous prisoners. However, their average sentence length was less than non-Indigenous prisoners (3.6 years compared with 5.3 years). The average age of all prisoners was 35 years. Over three-quarters of prisoners (79%) were born in Australia. The imprisonment rate for women increased from 15 to 24 prisoners per 100,000 adult women over the 10 years to June 2007. South Australia had the highest average sentence length for all prisoners at 6.1 years. Media note: Sexual assault includes related offences. The average sentence and expected time to serve excludes prisoners with indeterminate, life and periodic detention sentences. The last decade has seen a general toughening of law and order policy. The manifestation of this is a growing prison population. The Australian Bureau of Statistics says that between 1997 and 2007 the rate of imprisonment in Australia rose by 23 per cent. There are now more than 24,000 people behind bars. Almost a quarter of those held in prison are indigenous, although indigenous Australians make up less than 3 per cent of the total population. The growth in imprisonment has not been the result of higher crime rates. Surprising as it may seem, for most of the past 10 years, most categories of crime in Australia have been either stable or falling. Imprisonment rates have risen, despite falling crime rates, because more of those charged with criminal offences are being refused bail and more of those convicted of criminal offences are receiving a prison sentence. Tougher bail policies fail because prisons cause crime. To add to that it's expensive. It costs $240 a day to keep someone in prison. A growing proportion of people charged with criminal offences are being held on remand while awaiting trial. Over the past 10 years the proportion of the Australian prison population on remand has risen from 13 per cent to 22 per cent. The disturbing thing about the growth in remand is that a large percentage of those refused bail end up having the charges against them dismissed. Many of those who are convicted, on the other hand, receive a non-custodial sanction. In NSW more than 12 per cent of those refused bail are acquitted or have all charges against them dismissed. More than one in three of those refused bail receive a non-custodial sentence. Like most things that cost a lot of money, prison brings bankruptcy. Imprisoning serious or prolific offenders can cause more crime especially if those offenders are just going to be warehoused and mistreated - as they are if prisons are overcrowded. And the wider we cast the net of imprisonment, the more it costs the community. Nearly all those 24,000 prisoners will sooner or later have to be released. If we don't do anything to help them back into the community, many will go straight back into crime. In NSW, 60 per cent of those released from prison will be convicted of a further offence within two years. Overseas research shows that intensive supervision of offenders on its own just causes more crime. Intensive supervision doesn't work but measures that tackle the underlying causes of offending (for example, drug and alcohol dependence, poor social skills, unemployment). Programs that do this can reduce the rate of reoffending by as much as 20 per cent. Crime prevention however can reduce the rate of potential offending by as much as 5 per cent. So spending money on crime prevention can only be seen as enlightenment. Spending money on rehabilitation programs and services can easily be lampooned as being kind to criminals. In truth though it's nothing more or less than commonsense. The punishment is the crime for a world without violence.